You may well have seen my mug on the telly by now on the brand new Purplebricks commercials. If not, here are the ads! I filmed them in early December and they’ve been on air since Boxing Day. A National 30 sec ad and a 10 sec for Scotland only. I really enjoyed the shoot, working with creative agency BMB and film production company Archer’s Mark, not to mention the stars of the ads, comedy duo Michael and Kenny! The booking came via the lovely Jane Farnham at Great British Presenters. Watch the National Advert HERE! I recently started voicing Videos for Natwest and RBS in both my English & Scottish Accents. A great booking which came through my VO Agent, Wise Buddah. Recorded with the awesome team at Green Rock in Central London, the sessions are really enjoyable as I get a kick out of switching between accents, it makes for a great session! This must-skilling malarky is fruitful and fun!! Watch one of my Natwest videos here and RBS here! 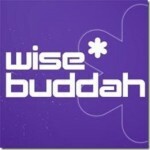 I’m delighted to announce that I’ve been signed up by Wise Buddah, one of the top and most respected Voiceover Agencies in London. 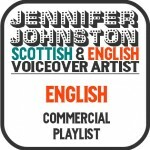 They’ll be representing me for both Scottish & English Accent work, for TV & Radio Commercials & Promos, Continuity, Corporate and Narrative projects. Their Talent Roster is very impressive, hosting not only many of the top Voiceovers Artists in the country, but TV Presenters and some of the best UK Radio Talent too. I’m in very good company! They also have very busy Production and Studio facilities, a one stop shop for your production needs. If you’d like to book me through Wise Buddah, you can do so by calling +44 (0)207 307 7446 or emailing Natalie@wisebuddah.com. They’re a lovely bunch! You can view my full profile HERE! Does this make me a SASANACH?? In preparation for the Scottish Independence Referendum potentially crushing my lucrative Scottish Voiceover & Presenting career, I recently started voicing in English. But, low and behold, I got booked recently as an English PRESENTER! 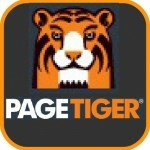 My career has definitely got more interesting… Page Tiger is an online Publishing company based in Kew, London. It’s a great service they offer actually so why not watch the videos I hosted to find out more…. HERE! Rather have an ENGLISH Accent? After years of voicing only in my native Scottish accent, I’m pleased to announce that I recently started voicing with an English accent! I was asked a few weeks ago if I could and it turns out I can, and I am!! Here’s a link to a whole bunch of English Radio Commercials I’ve voiced already, here on my Soundcloud! Wherever you are in the world, you might just hear me on the highly regarding News Channel, Al Jazeera English. I voiced my first promos for them recently and I’m very proud of this! I worked with a great team based out of Qatar who asked me to self-record the audio and deliver it as a WAV file. All went very well and the promos are now on air! Watch the GUN Promo here on my Vimeo Channel.